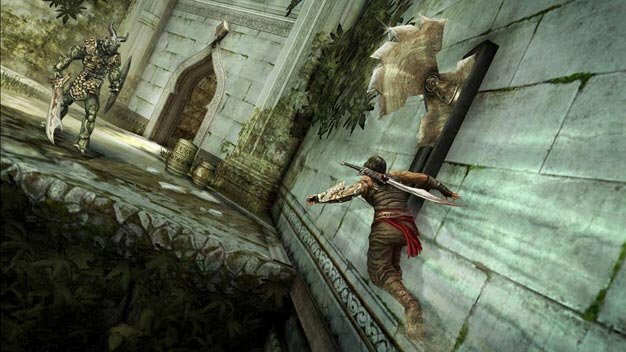 Ubisoft has dated the upcoming return-to-classic Prince of Persia: The Forgotten Sands; Previously given a release window of May, all versions of the game — PC, Xbox 360, PlayStation 3, Wii, DS(i) and PSP– were today dated for a May 18 release in the US and May 20 in Europe. The company also revealed a few details about the Wii version, which has been said to offer “a different gaming experience” than its HD brethren. Built from the ground up by Ubisoft’s Quebec City Studio and by making use of “advanced technologies” and the system’s “full graphical capabilities,” the Wii version is said to deliver a 15-hour-long “smooth, clear and impressive graphical experience on Wii.” The two screenshots below were sent out to demonstrate said power, and they do look awfully good for a Wii game.